Panerai | 4'200 € Tax inc. 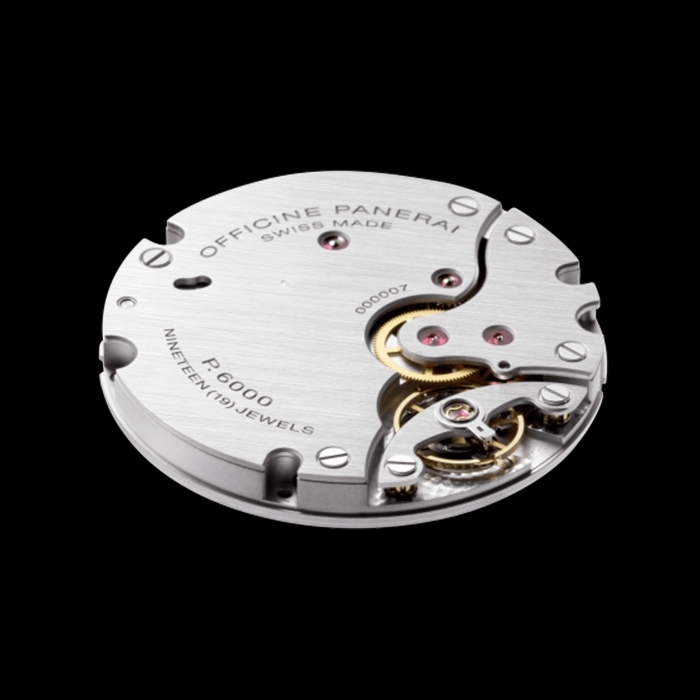 The Radiomir Logo and the Radiomir Black Seal Logo are new examples of one of Officine Panerai’s great vocations: making watches inspired by models which have been part of the history of the watchmaker, while incorporating technical content that is consistent with the highest standards of contemporary high quality watchmaking. 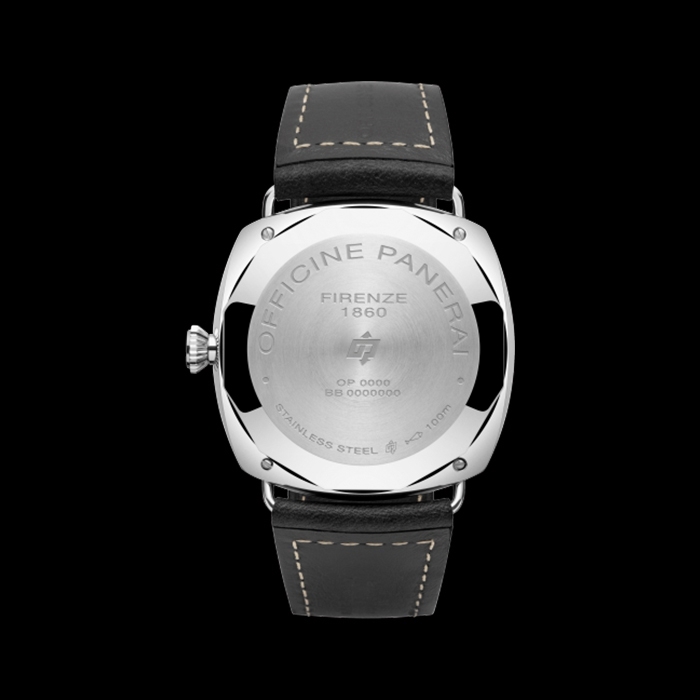 In about 1940, the PANERAI worshops in Florence perfected a new case, designed to meet the increasing demands of the commandos of the Italian Navy. 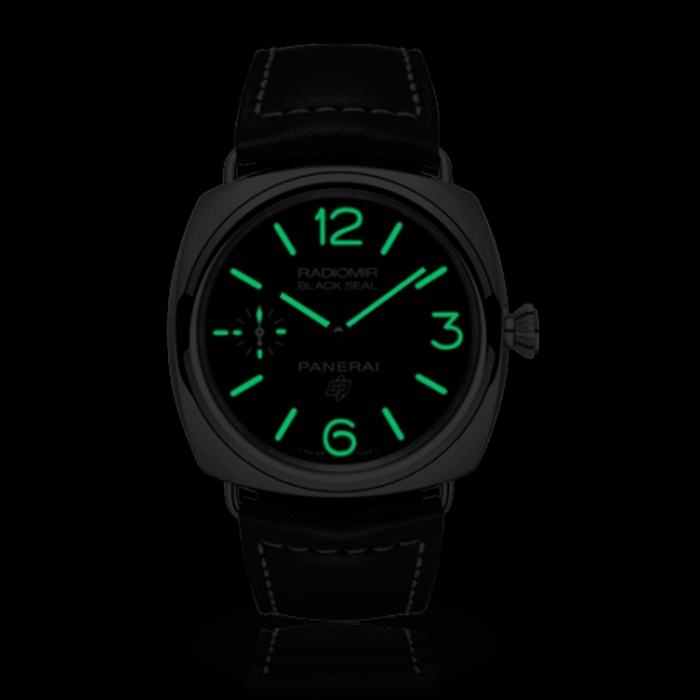 The case was a development of the one presented in 1936 which is known today as the Radiomir – a term which originally referred to the luminous material patented by Panerai to make the dial readable in the dark – but it presented some innovations designed to make its construction even more solid and hardwearing. In the new case the strap attachments were no longer formed from a strong piece of steel wire bent and welded to the caseband, as they had been previously. This design might expose the watch to the risk of the strap coming off in the course of the extreme operations which commandos were called upon to undertake when on board their underwater assault craft. In the 1940s version, on the other hand, the lugs were larger and much more solid, being milled from the same block of steel as the case, of which they were an integral part. As well as the strap attachments, the system of attaching the strap was also changed, becoming much simpler and more secure. While previously it had been necessary to sew the leather round the wire strap attachments, the new construction had little holes in the lugs themselves in which a small tubular bar could be fitted, having been inserted through the loop of the strap. This was a more modern solution, which also meant that the leather strap could be replaced easily. The P.6000 calibre, hand-wound with a power reserve of three days. Completely created by Panerai’s high quality watchmaking Manufacture in Neuchâtel, the calibre is 15 1/2 lignes in diameter and its balance, which oscillates at a frequency of 21,600 vibrations per hour, is securely fixed in position by a bridge with twin supports. For greater precision when adjusting the time, the calibre also has the device which stops the balance when the winding crown is pulled out.